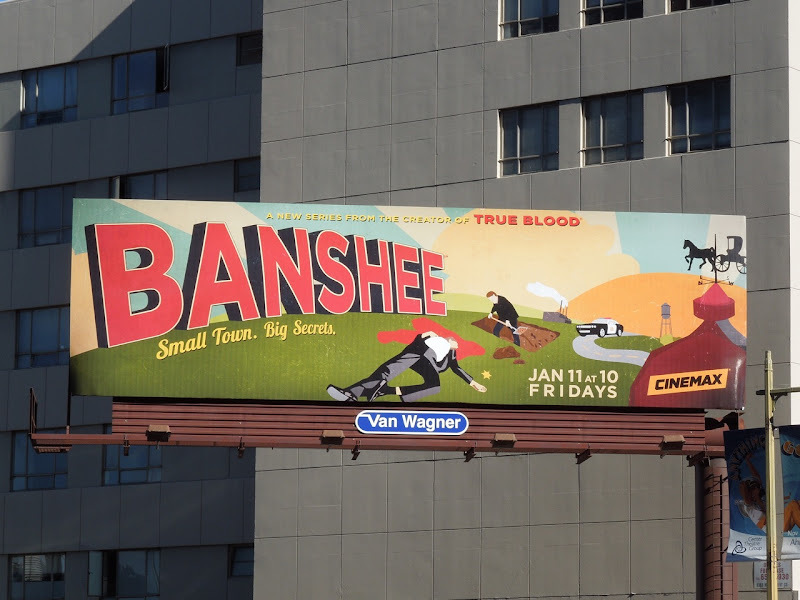 With every New Year comes a fresh new season of TV shows, including this catchily-titled Banshee from the creator of True Blood. 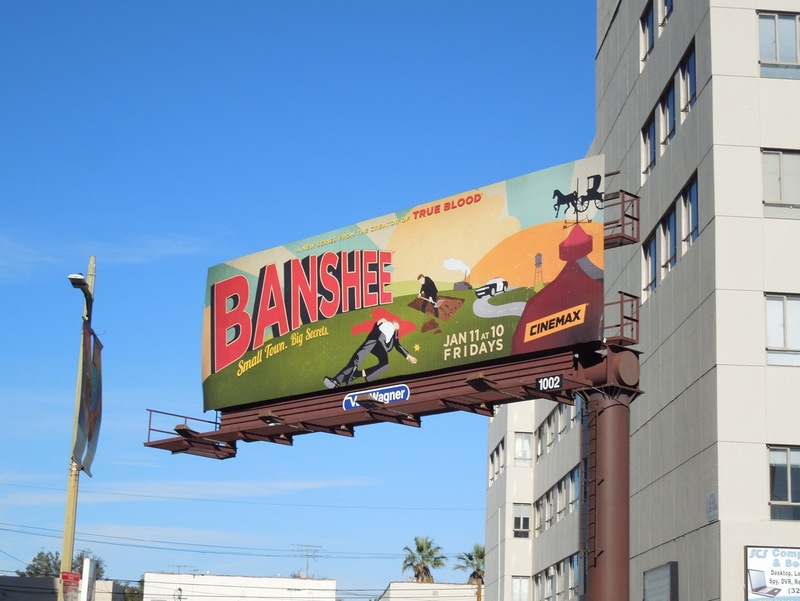 The interesting choice of an illustration for the new series billboard helps it stand out, and almost suggests an animated series, but this is a live-action crime drama, and it's sure no cartoon. 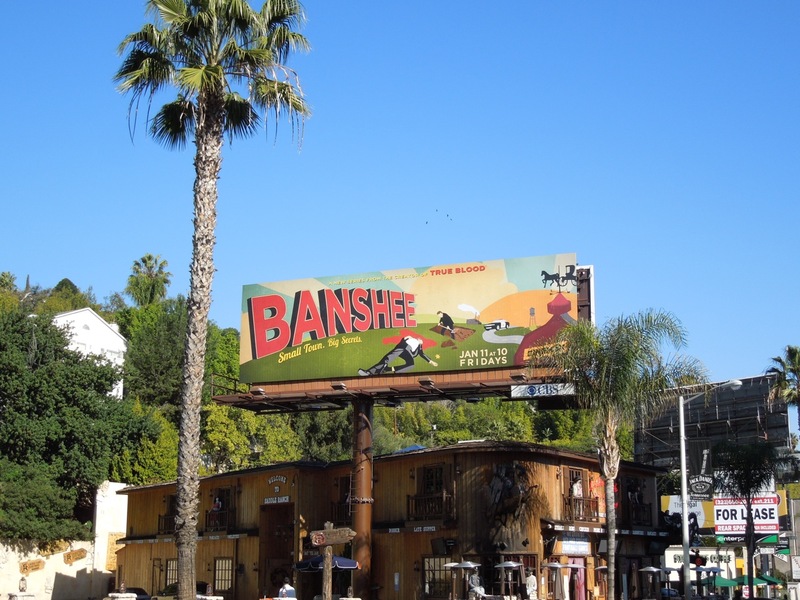 Antony Starr plays 'Lucas Hood', an ex-con and notorious thief who assumes the identity of a murdered sheriff in the small town of Banshee, Pennsylvania, so expect trouble to follow him. 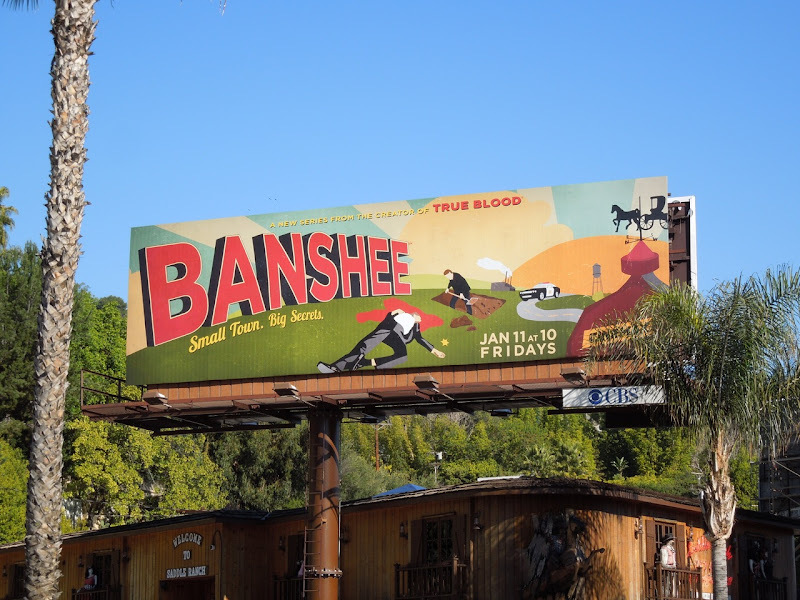 Even though the show may be named after a mythical creature and be flaunting supernatural creator credentials, there's not a vampire in sight (but maybe a siren or two). 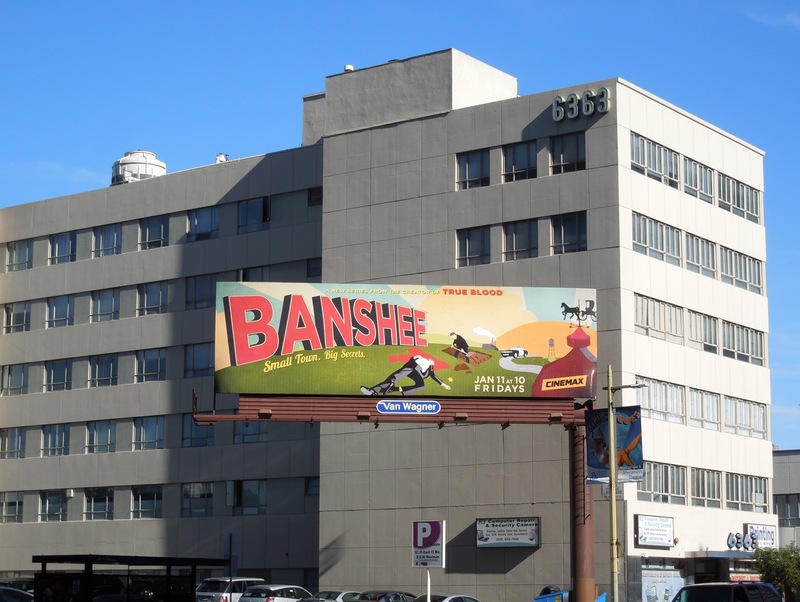 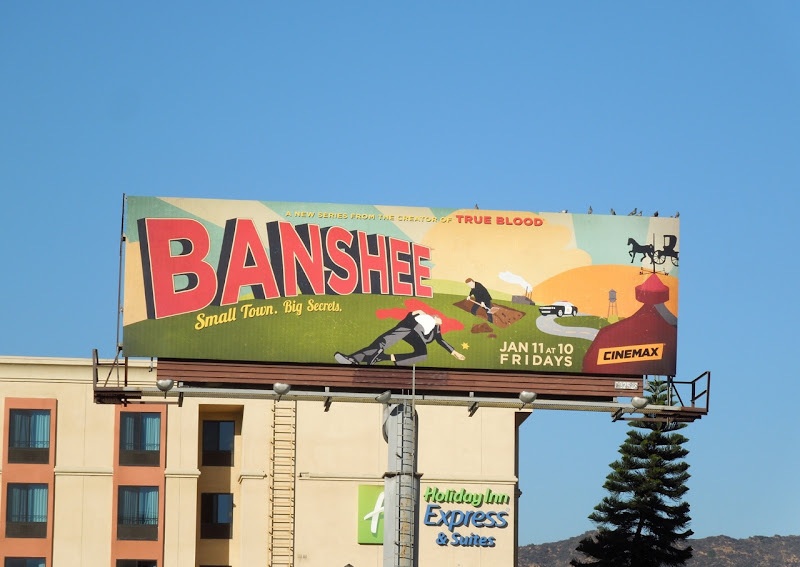 These Banshee series premiere billboards were photographed along Wilshire Boulevard on December 15, 2012, plus also along the Sunset Strip and Highland Avenue on January 3, 2013. 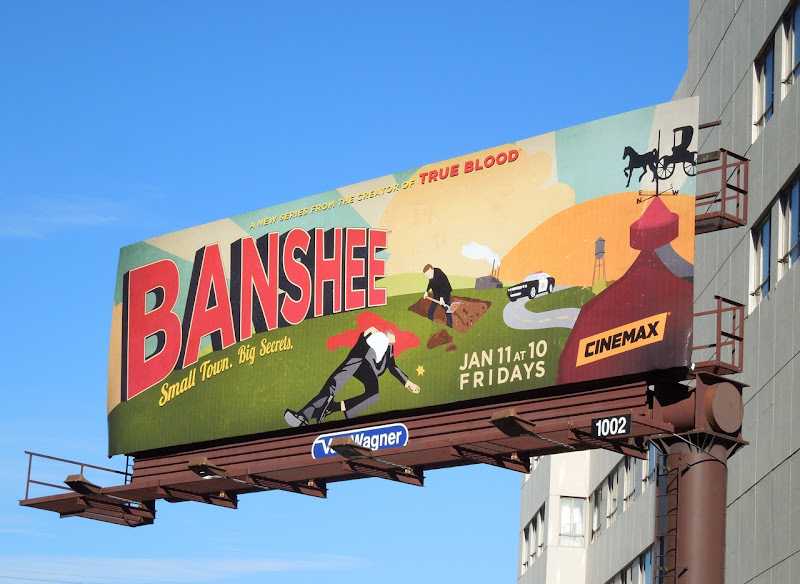 Be sure to check out these other Cinemax TV show billboards here at Daily Billboard.